Joining me today is Alison Jack who has just re-released her book, Dory’s Avengers. After her long term employment with a Cambridge based publishing company came to an end in 2012, Alison took a year off (thanks to a healthy redundancy pay out) to realise her dream and write the novel that had been buzzing round her head for the past – well, most of her life, actually. And so Dory’s Avengers came into being. Writing was the fun part, seeing her ideas come to life day by day on her computer monitor, but when it came to publishing, she found the choices impossible to navigate and ended up making a few unwise decisions. However, as her mother always told her, every cloud has a silver lining. During Dory’s Avengers’ initial editing process, Alison discovered she had a natural aptitude and love for editing. 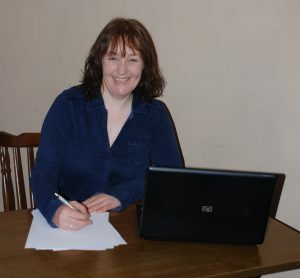 She went on to do a year of intensive studying and working free of charge for independent authors who were kind enough to let het practise her editing skills on their manuscripts, finally launching her business Alison’s Editing Service http://www.alisonjack-editor.co.uk/ in January 2016. 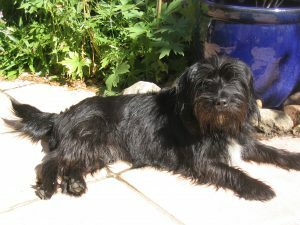 Alison lives in a pretty village on the outskirts of Cambridge with her partner Andy and two cats. When not editing, she enjoys writing fiction (short stories as well as her second novel), blogging on An Author’s View (https://alisonjack-blog.com/ ), reading, playing guitar (badly), listening to music (played well), walking, wakeboarding and watching golf, football and horse racing. Hi Alison, thanks for taking the time to talk to me today as I know it’s going to be a busy one for you. Fortunately, as we live in the same county the travelling is not too arduous for you. It’s an absolute pleasure, Georgia. Thank you for inviting me to join you, Poppy and Ruby on your walk today. So now we’ve got going Alison tell me all about the book you’re just re-releasing. For starters, why the re-release? Dory’s Avengers is a new take on the classic theme of good versus evil. When I’ve described it, some people have asked if it’s like The Hunger Games, and having read that excellent series, I can see similarities – both involve brutal oppression, heroes who on the face of it seem to have no hope of defeating the oppressors, and both end very publically at a major sporting event. However, that is where the similarities end. Although Dory’s tackles some serious issues such as torture, false imprisonment and murder, there is a lot of humour throughout the book. Characterisation is particularly important to me when I’m writing, and I really enjoyed developing my characters’ individuality, their personalities and the dialogue between them. They work well together, are a thoroughly likeable bunch (with a couple of notable exceptions) and draw the readers into their story exactly as I wanted them to. So why re-release? About a year ago, I decided to reread the original version of Dory’s Avengers, and I was more than a little embarrassed to find it littered with the very mistakes I spend my days advising other authors to avoid. By this time I was out of contract with my publisher, so I decided to put my editing savvy to good use and subject Dory’s to an extensive structural edit. To be fair to my original editor, a lot of the issues were things only I as the author could rectify, although there were a few glaring discrepancies – how one of my characters managed to drive from London to Cumbria in under an hour is beyond me! Re-editing my book was a hugely enjoyable experience (am I weird?) and it taught me two valuable things which I now pass on to other authors: if a scene doesn’t move the story on, delete it (rather than including it simply because it contains one funny line, which is what I’d done more than once), and if you’re uneasy about any part of your book, work on it until you’re happy. Having cut out the best part of 45,000 words of waffle and repetition, I am finally happy with every single part of Dory’s Avengers and can’t wait for people to read it. I hope they will love it as much as I do. If you could choose one piece of music to be the soundtrack to this book what would it be? And why? That is actually difficult to answer as music plays an important role in Dory’s Avengers. In fact, the book is named after a band in the story, although Dory’s Avengers does come to signify so much more. I’ve done that thing I’m sure most authors do – a vivid imagination being essential in our line of work – and visualised Dory’s being release as a film, and I’ve always imagined the closing credits rolling out to the Rainbow song Long Live Rock ‘n’ Roll, which is a song the Dory’s band thoroughly enjoys playing. However, the story does conclude to another highly significant song, and that’s…ah, no. No spoilers! I know you’re an indie author Alison, but we all need help at various stages of writing and I’d like to know more about the team you have behind you. Who helps you pull your books together until they’re ready to be published? Cover art is vitally important, being the first thing potential readers will notice, so once again I consulted the ALLi community and was lucky enough to be directed to James Willis of Spiffing Covers (http://spiffingcovers.com/). He asked for a few details about the book, some character descriptions and the blurb, then put all that together with his knowledge of what catches a reader’s attention to suggest a visual concept. I was delighted with the design James came up with; there were a few issues to start with, but he corrected them as soon as I described what I wanted changing, and I’m very excited about the resultant cover. It looks fabulous. 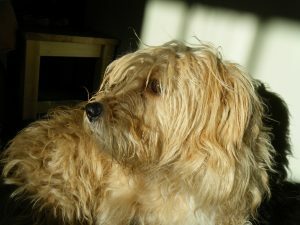 In addition to those mentioned above, I want to give a shout out to Lucy McCarraher of Rethink Press (http://rethinkpress.com/). Although her company specialises in business books rather than fiction (I have done no end of work for her and every manuscript has been a joy to edit), Lucy and her team have offered me great advice, particularly in preparing Dory’s for release on Audible. The whole self-publishing process has been such fun, I’ve finally resurrected the long-neglected manuscript of my second novel. The sooner I get it written, the sooner I can start the fun all over again. Tell me who you believe is your ideal reader for this book? Everyone, especially hugely successful film directors (lol). 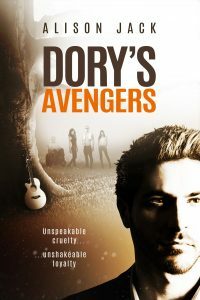 Seriously, Dory’s Avengers does get lumped in the Young Adult genre simply because most of the lead characters are young adults, but I believe anyone who enjoys a rip-roaring adventure story (a friend described Dory’s as the Famous Five for grown-ups) with believable characters and a big dollop of humour is likely to enjoy it. It’s not for children as there are some quite disturbing scenes in among the rip-roaring fun, but I’d invite teenagers and adults to have a look inside on Amazon. Hopefully they’ll like what they see. If you could eliminate one thing from your daily schedule what would it be? And why? I’m not sure, really. I even quite enjoy housework (yes, I’m definitely weird!) as it gets me away from the computer for a while, I can plug my headphones in and get a bit of exercise, all the while doing something constructive. Checking my emails can take up a lot of time, but I find it so exciting when a new editing job comes in, either from an established client or a new author, it’s no hardship to put an hour or so a day aside for this task. The same goes for social networking, although I don’t always find as much time for that as perhaps I should. I think I’m just one of those revoltingly smug people who’s totally happy with life. Iceland. 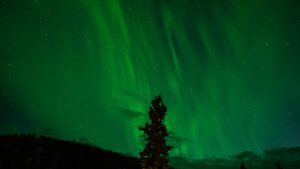 I would love to see the Northern Lights so much. Name one thing you would put into Room 101? The word ‘responsibly’. Whenever I’m told to do something responsibly, it makes me want to do the exact opposite. What piece of advice would you like to give your 16-year-old self – if you were given the opportunity to use a time machine!? ‘You are likeable. Stop hiding under a veil of shyness and make friends, because people do want to get to know you.’ All the people at school who I thought were way too popular to be interested in me have since become good friends, which says it all really. To be honest, it would look pretty much like my fiftieth birthday. 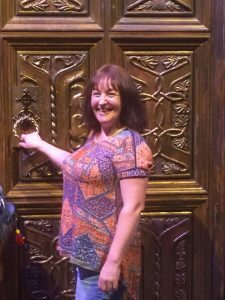 My partner, whose company I still enjoy more than anyone else’s even after many years together, surprised me with a trip to Harry Potter World, and because it was my birthday I got to open the doors to the Great Hall. Then in the evening I got together with some of my dearest friends, who made an effort to come and celebrate with me despite it being mid-week, drank champagne and had a boogie (and singalong) to my favourite tunes. Good company, good wine, good music and Harry Potter – things don’t get much better than that! This entry was posted in Author Interviews, New Release. Bookmark the permalink.